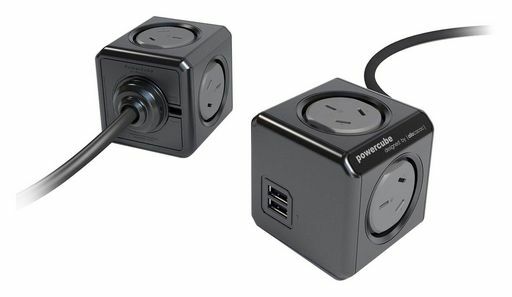 The PowerCube® Extended USB is a uniquely designed power distributor that features a four-outlet cube at the end of a 1.5 or 3.0 metre flexible lead and also two USB sockets for 2.1A charging of accessories. 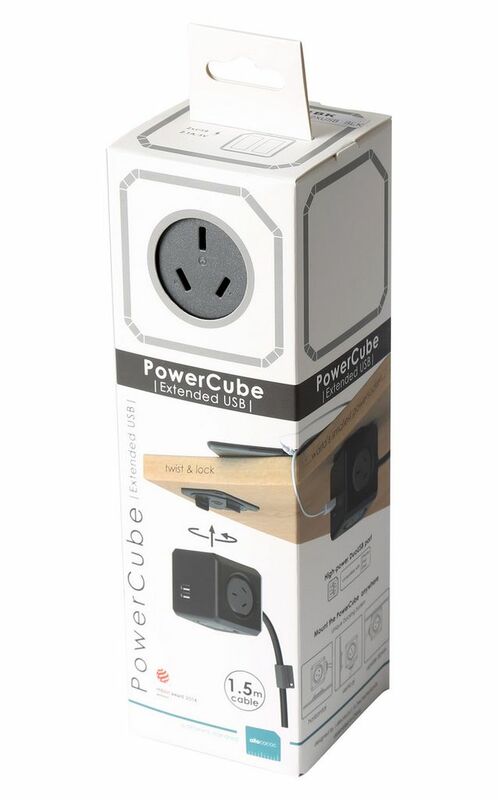 This product includes a docking mount which users can fasten to a desk, or under the desk, or on the wall using the provided screws, or damage-free adhesive strips. There is also a small plastic collar that slides up and down the cable, with a screw hole so users can tack the cable to the wall or underneath your work surface to keep the cable tidy and out of the way.